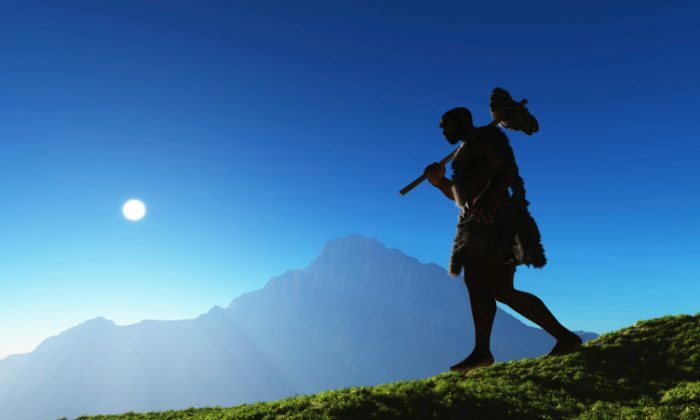 Did Giants Exist? 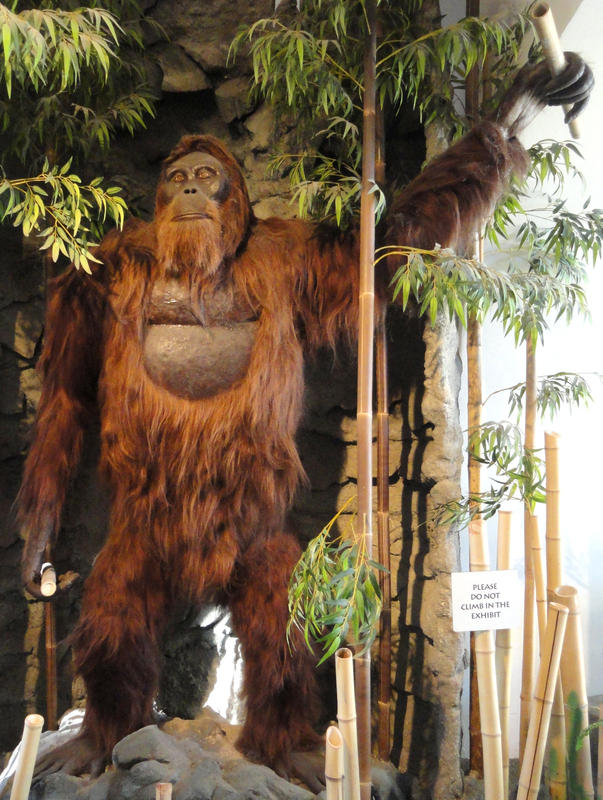 Part 3: Was Gigantopithecus a Giant Prehistoric Man? Long ago, somewhere between 300,000 and 8 million years ago give or take a millennium or two, a giant creature hunkered through the wilds of China and Southeast Asia. It was about 9 feet (3 meters) tall and weighed almost half a ton, twice the size of today’s largest ape. All we have left of this creature is its jaw bones and teeth. Mystery surrounds these fossils. They’ve bred the unorthodox theory that Gigantopithecus was not a giant ape at all—but rather, a giant human-like being. Or, if it wasn’t like the giants of legend, perhaps it lives still today as the Bigfoot or Yeti. 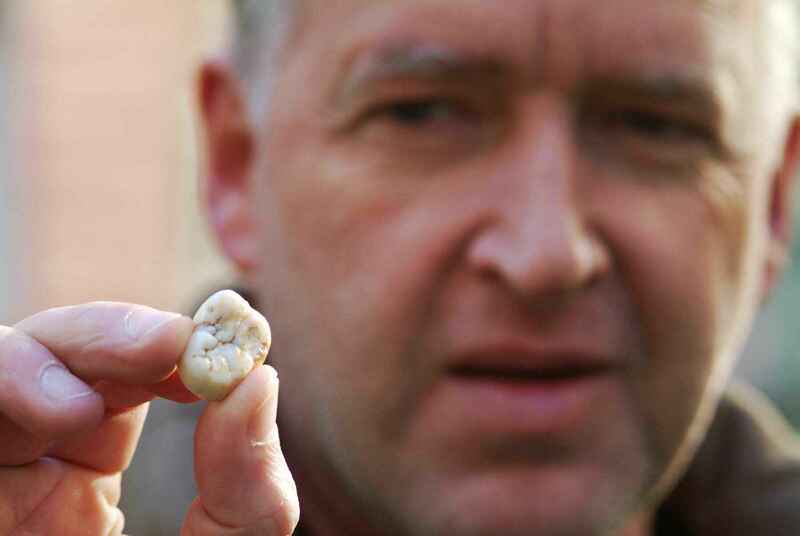 German paleoanthropologist Ralph von Koenigswald was among the early researchers to find these teeth. He procured them in the shops of Chinese apothecaries in the 1930s. 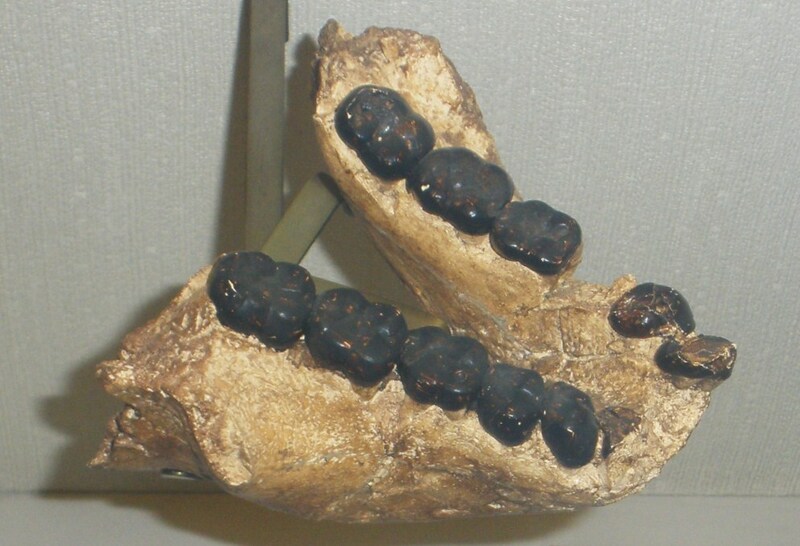 They were known among the Chinese as “dragon’s teeth.” Koenigswald established the genus Gigantopithecus. Anatomist Franz Weidenreich (1873–1948) hypothesized that Gigantopithecus was a giant ancestor of modern humans. He said the teeth were human-like, and his ideas became widely accepted, according to University of Iowa paleoanthropologist Russell L. Ciochon. Weidenreich had been working with four teeth. 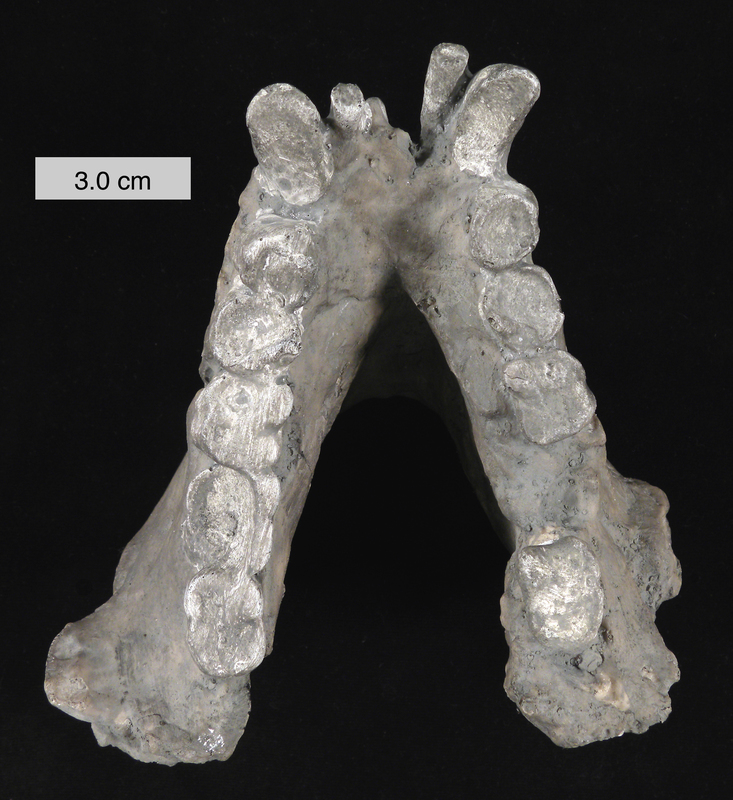 As mandibles were discovered over the decades and more teeth surfaced, scientists broke away from Weidenreich’s view and started building models that supported Gigantopithecus as a prehistoric giant ape. The jaw was shaped similarly to that of an ape. Its teeth also share structural similarities with an ancient ape known as Sivapithecus, that lived about 10 million years ago. No other parts of the creature have been found, so it’s hard to tell a lot about it. Its size has been estimated from its teeth and jaw, and its structure has been assumed to be ape-like, hunched over on all fours. Assuming it is an ape and not a giant hominin (hominin is a relatively new classification denoting a hominid as closely related to humans), is it possible Gigantopithecus is the Yeti, Sasquatch, or Bigfoot of modern lore? Though it is said to have gone extinct about 200,000 years ago, near the end of the middle-Pleistocene period, some say it may live to this day. It is thought that extinction may have been caused by environmental change and/or the competition with humans, Homo erectus. The problem on all fronts is a lack of evidence. Most of the Bigfoot evidence is based on eyewitness accounts. Although, large Bigfoot-like encounters are notable in southeast Asia, especially among veterans of the Vietnam War, some of whom have contacted Ciochon with their accounts, according to his site. Perhaps in the future more fossil evidence will come forward regarding the relationship between modern man and ancient creatures to build a larger picture of our forgotten history. As it was postulated in the early research of Gigantopithecus, perhaps with the discovery of limbs or other bones, scientists will again return to the early idea that the creature was very human-like, or perhaps the evidence will indeed solidify its place in the ape family. Until then, there is a lot we do not know about Gigantopithecus, ancient human giants, Bigfoot, and even our own remote history. Folklore from all over the world inform us of people with supernatural abilities who walked among us. Could there be truth to the legends? Abraham Lincoln believed giants existed. Many accounts of giants have been given throughout history, and many bones reportedly found in the American Midwest.